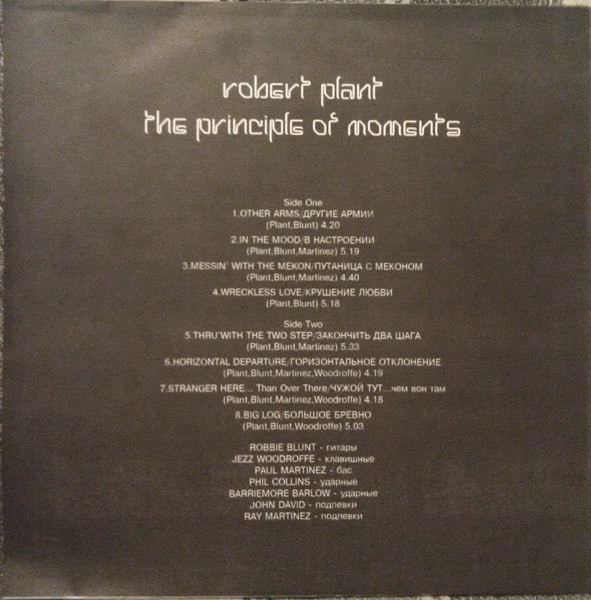 Robert Plant's second solo album is quite a solidly rocking affair, not as synthesiser-dominated as one might expect from an eighties album, with "proper" drums (from Phil Collins on six tracks) and some bona fide rock guitar riffs. By the end of the eighties, these had been somewhat swamped on occasions by synthesisers. Not here, though, this is, for me, very much a rock album. "Other Arms" is a solid piece of riffy rock to open the album. 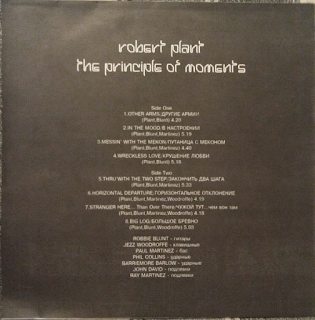 "In The Mood" is a strong, rock number with a thumping drum sound and an uplifting vocal from Plant. There is an anthemic quality to the song. "Messin' With The Mekon", whose title references the green eggheaded character from the "Eagle" comic. 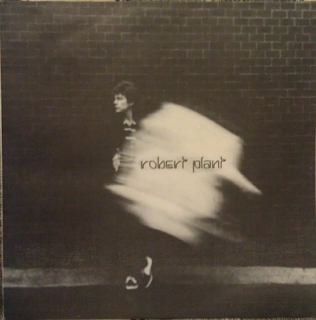 As often with Plant's songs, the title bears little reference to the lyric of the song. There is a bit of a latter period Zeppelin feel to this, together with a John Bonham-like thump to the drums. There is a vague reggae-ish, bassy groove to the backing. "Wreckless Love" has an Eastern influence to its intro and once more a bit of a Zeppelin vibe to its folky but powerfully strong beat. It has a great instrumental ending. "Thru' With The Two-Step" is an impressive slow burner of a rock ballad with a soaring vocal and guitar. "Horizontal Departure" has a quirky vocal and a bit of a new wave-ish beat to it. It sounds not unlike some of The Police's material. "Stranger Here...Than Over There" is an odd sort of track, pretty difficult to categorise, while the Zeppelin-like titled "Big Log" is one of the album's strongest tracks - an almost soulful, laid-back but mournful track that sees Plant, not for the first time, sounding a lot like Freddie Mercury. The guitar backing is sumptuous. It is a unique-sounding track. Overall, it is a bit of a myth that Plant's eighties albums are dreadful. I really like the first three, although I find 1988's "Now And Then" less good. This is definitely a good one.